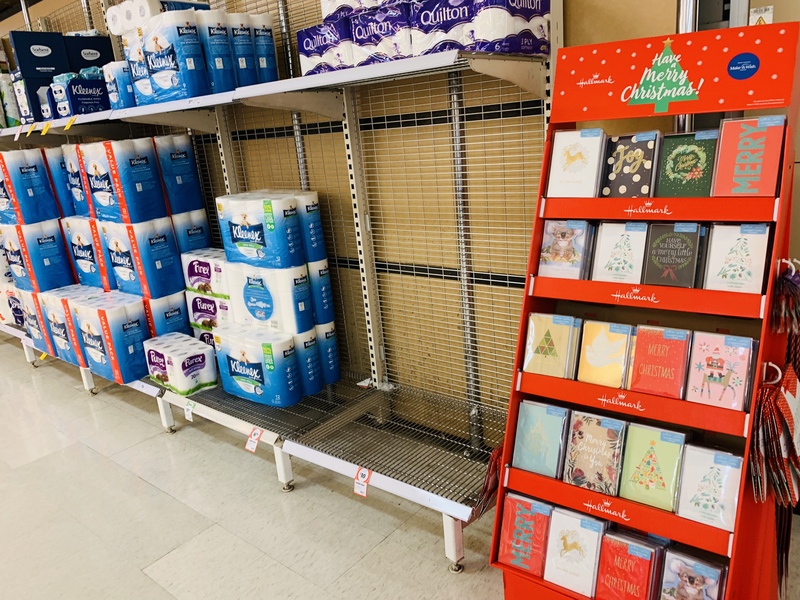 It is interesting to see placement of Christmas cards in Coles supermarkets as moves they make are thought-out, tested and made in pursuit of a revenue goal. This photos shows one display unit of single cards placed next to tissues. Tissues are common in the weekly shopping basket I am told. This photo shows placement of a display unit of boxed cards next to toilet paper. Toilet paper is a popular supermarket purchase. Both photos are from he sale Coles, taken yesterday. I checked one other Coles a suburb away and found similar placements for these products. 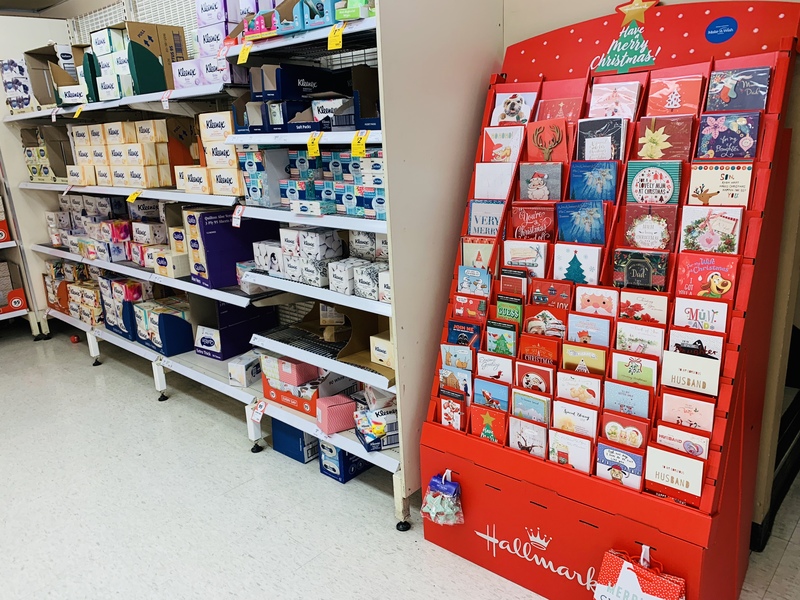 For any retailer to achieve better results from Christmas cards this year compared to last year we need, in addition to better products, better in-store engagement and a key factor in this is our placement. In fact, I think with the same or similar cards to last year in fresh and more tactical locations could / should drive a better result. Coles has evolved its card placement / engagement in the last year. They are more engaged with the category than before. I expect sales are up as a result. Part of the challenge in the traditional newsagency is that cards are only in the permanent card department. That is a mistake as it only serves the destination card shopper. What newsagents do is up to them. For me, we are playing with locations. Already, boxed cards are doing very well. Interesting that price is not part of the. Coles pitch… Yet. When it comes to cards, Colin, Coles has tended to not play that game until quitting stock. I suspect that speaks to their purchase arrangements.